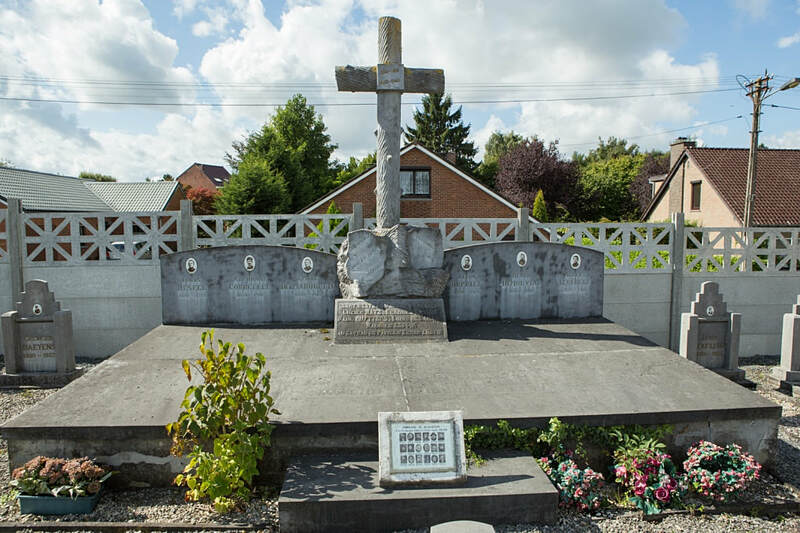 The town of Blandain is located north-west of the town of Tournai on the A17. From Kortrijk follow the A17 direction Tournai. At the junction with the road to the village of Templeuve turn right towards Templeuve. 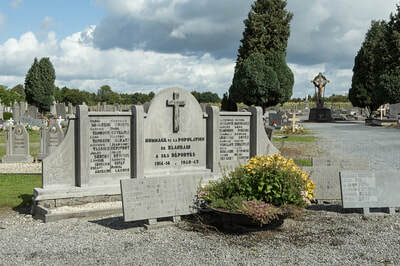 Follow the road into the village centre turning left at the T junction opposite the church to join the N509 to Blandain. 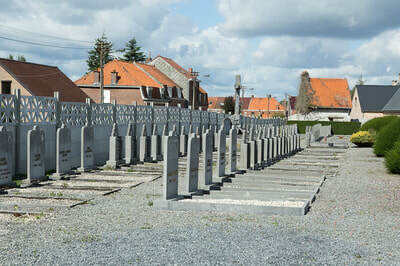 Entering Blandain on the rue des Deportes take the first turning left into rue de Cimetiere and the communal cemetery is along on the left. 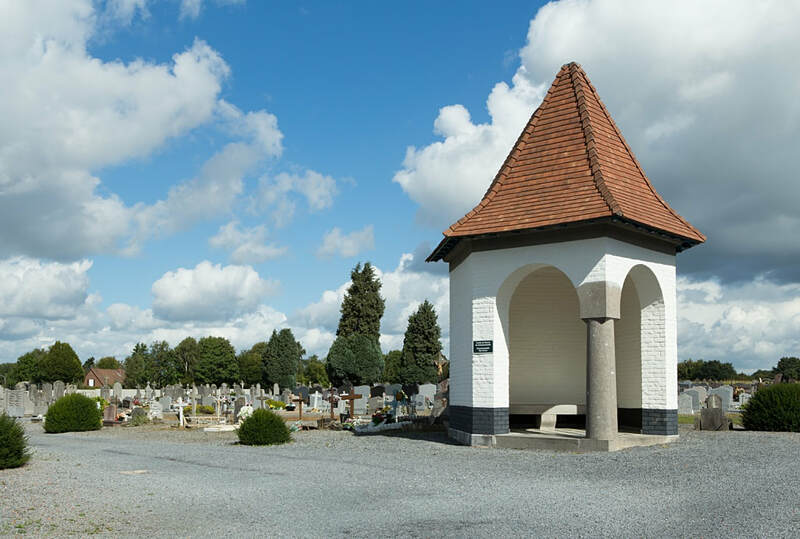 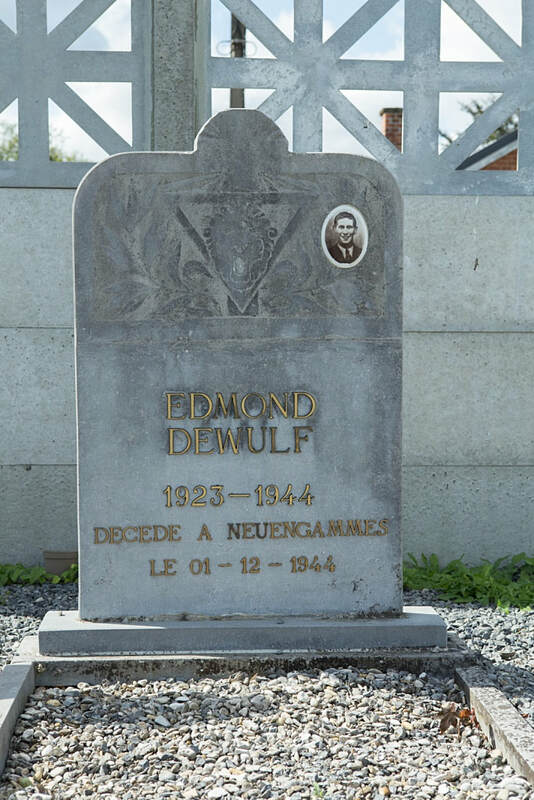 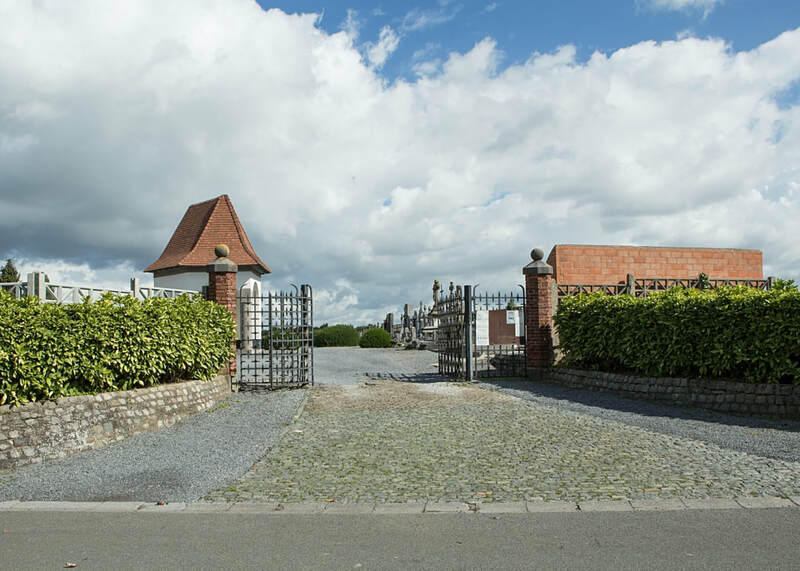 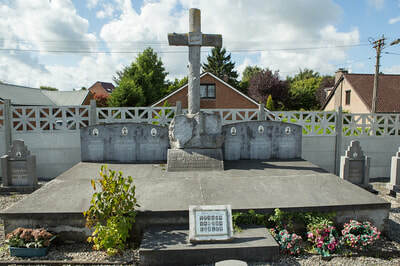 The grave is located in the Belgian Military plot to the left of the entrance and is marked by a Private Memorial. 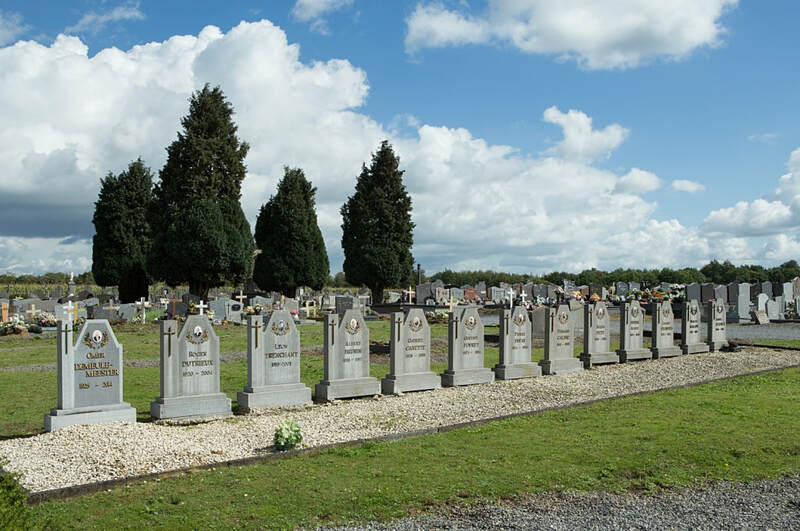 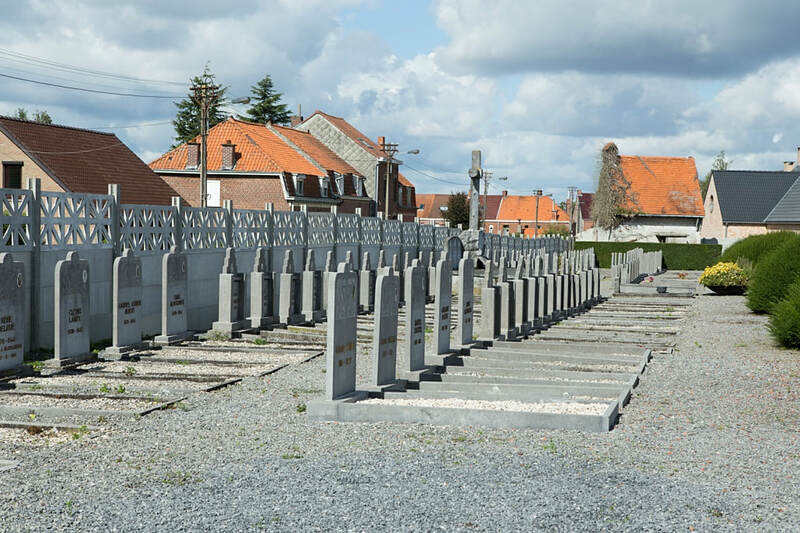 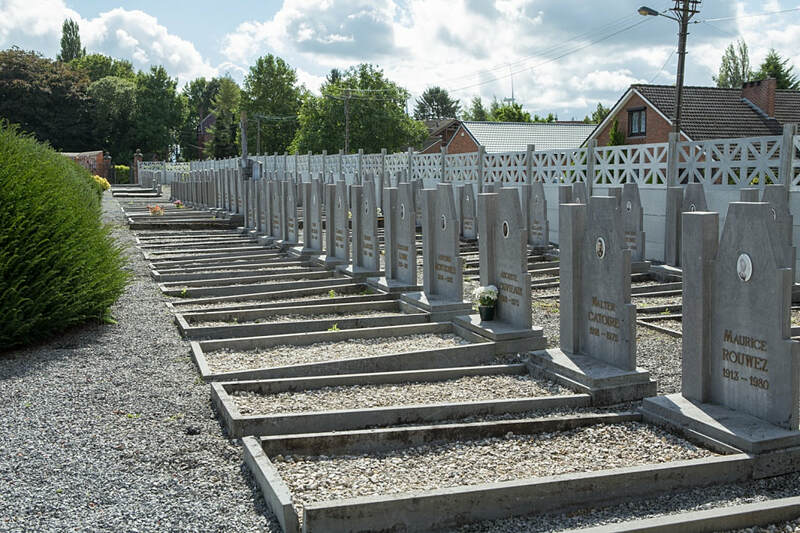 Blandain Communal Cemetery contains one Commonwealth burial of the Second World War. 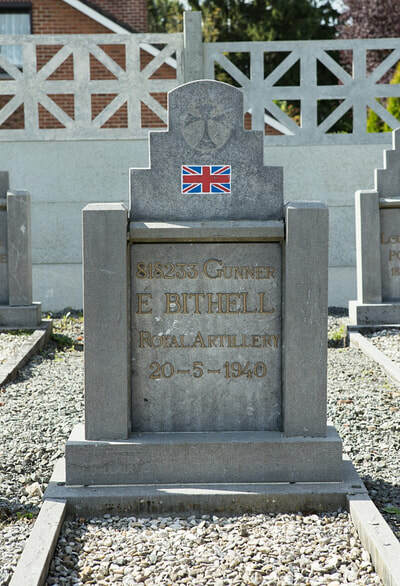 818233 Gunner Elijah Bithell, 19 Field Regt. Royal Artillery, died 20th May 1940, aged 27. 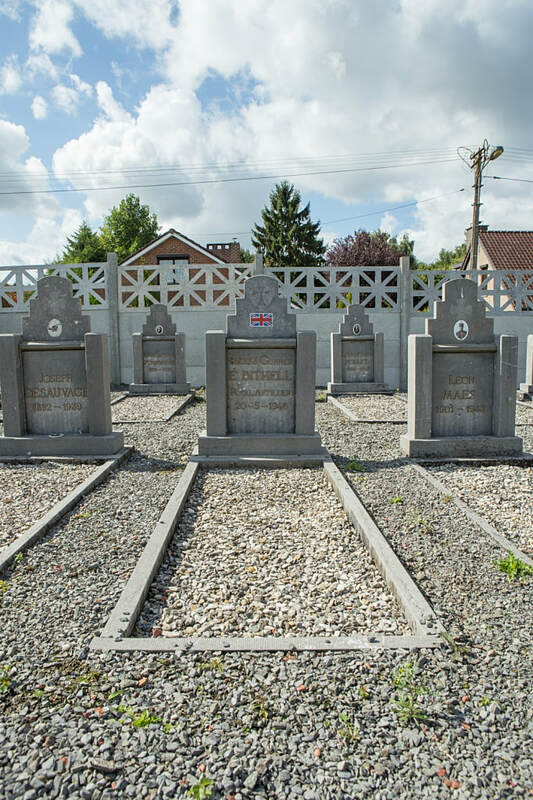 Son of William and Charlotte Bithell, of Newcastle, Staffordshire.